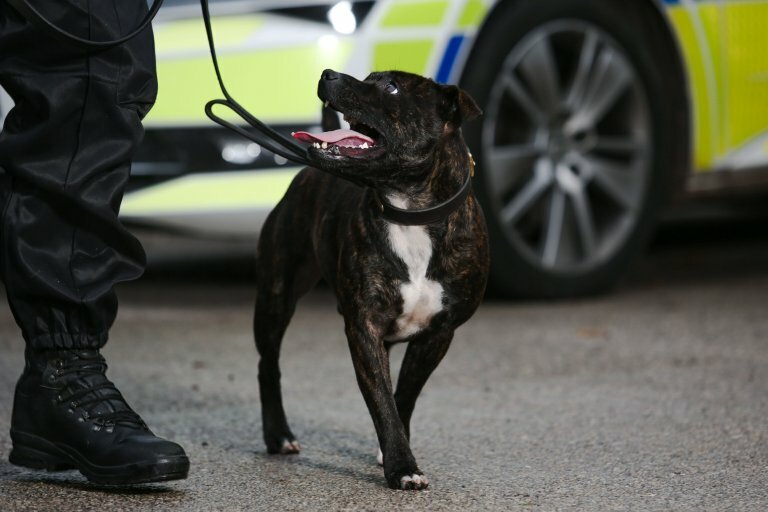 One of the UK’s first ever staffie police dogs has joined the force. 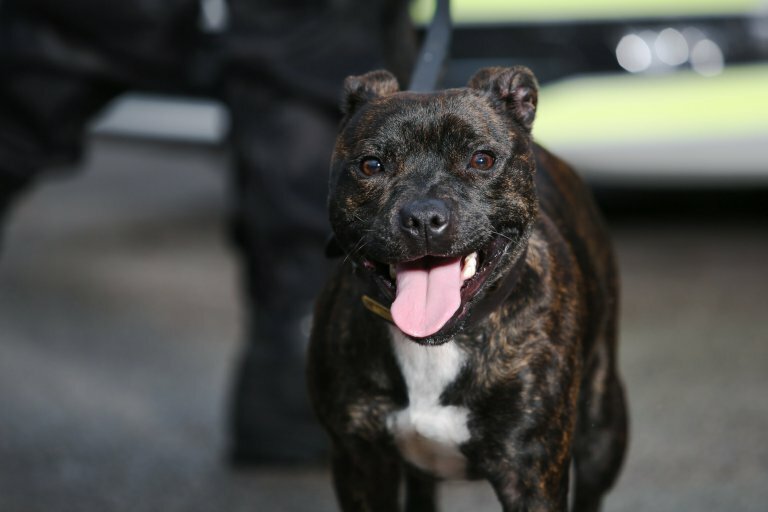 Two-year-old rescue Staffordshire Bull Terrier Cooper, who is specially-trained to find drugs, cash and firearms, is the first of his breed to join Staffordshire Police. The animal, who lived on the streets as a stray before being rescued by the RSPCA, joined the service earlier this year and has already helped hunt down more than £250,000 of heroin and cocaine. And handler PC Tim Moss said he is also great at busting negative stereotypes around his breed. PC Moss said: ‘Cooper was on the streets, he was picked up by RSPCA and was with them for seven months. A staffie for Staffordshire Police, just brilliant. Well done Cooper and all who have looked after and trained him.